Indigenous cultures produced crafts from materials they gathered from the Land. Everything was used. Nothing wasted. In this pavilion, Indigenous artisans will demonstrate and engage visitors in craft-making using materials from the natural world. Fun to watch and try it for yourself! Festival visitors are invited to join internationally known Indigenous artists Simon Brascoupé and Heather Campbell in the production of two 6’ x 16’ community art murals: a Canada Geese Mural with Simon Brascoupé, and an Inuit Mural with Heather Campbell. Funded by the Visual Arts – Ontario Arts Council. Simon Brascoupé will demonstrate and conduct workshops on birchbark biting. At one time the bitings were considered a dying art. They have been used to tell stories, such as the four sacred directions, relationships, etc. Emily has been using birchbark in her artwork for several years. This is a highly sought after workshop where participants and easily learn to create images, talk and share stories. In 2007 Jaime first learned to do fishscale art by M.J. Belcourt Moses and again in 2010 by Geraldine Reid. Unique to the Lac La Biche area, Fish Scale Art uses scales from the fish that are dyed into magnificent colours along with porcupine quills and fish bones to create beautiful patterns of floral images prevalent in First Nation and Metis artwork. The artwork practices the traditional philosophy of using as much of the animal as possible in order to honour and respect the life it has given up for consumption. Kathy Brant is a master cornhusk doll maker and storyteller. Cornhusk doll have been made for centuries by Mohawks and there are many stories to education the young about having a “Good Mind.” In the fall cornhusk is harvested during cornhusking bees and used for many products, such as dolls, slippers, rugs and even masks. This workshop activity will include: demonstration of making a cornhusk doll and the stories behind the cornhusk doll and Interactive public activity. Participants will be able to make their own cornhusk doll they can take home. Canada Geese Teachings – The Canada Geese teaches us about the importance of working together in groups and in the community. Elder’s teach us that Canada Geese take turns leading the flock. If one of the Geese fall behind the flock will wait for it or send another Goose to look after it. Canada Geese can fly 30% further by working together and taking advantage of the flying in each other’s wake. Simon Brascoupé will work with youth to create a mural Canada Geese Teachings. The public will paint a Goose in their own creative way. Heather Campbell has created an innovative mural technique where she applies a watercolour technique to acrylic. She prepares the mural with acrylic paints mixed with thinner to make the acrylic “watercolour” like. She uses brushes and fans to spread the paint and finds animal and fish images in the drying paint. She then finishes the mural by using paint and markers to create animal and fish images in the paint. Heather has created Arctic Waters and Animals Murals with Inuit in the north. Jaime was born in Edmonton, Alberta and grew up in Lac La Biche, Alberta until I was 21 years old. In 2004 I received a Bachelor of Arts Degree from Carleton University in Canadian Studies and that same year I began a Masters of Arts degree with a focus on the holistic healing and health benefits of Metis cultural dance. During Jaime’s years as a youth advocate, she was appointed as an Adviser to the Secretary of State for Multiculturalism and Status of Women, an adviser to the Minister for the Department of Canadian Heritage on the Traditional Knowledge Gatherings, received a Role Model award from the National Aboriginal Health Organization and in 2009 was invited by the Governor General of Canada on an official State visit to Mexico, Guatemala and Costa Rica for my past youth activism, artistic abilities and to speak on women’s issues. As a successful visual artist, Jaime have been fortunate to have works that have been showcased world-wide and held in many prestigious personal and public galleries. My art reflects fantastical plant life – all with a story! Kathy is a Mohawk woman from Tyendinaga Mohawk Territory near Kingston, Ontario. She is a Mother, Aunty, Sister, Grandmother and Great Grandmother. 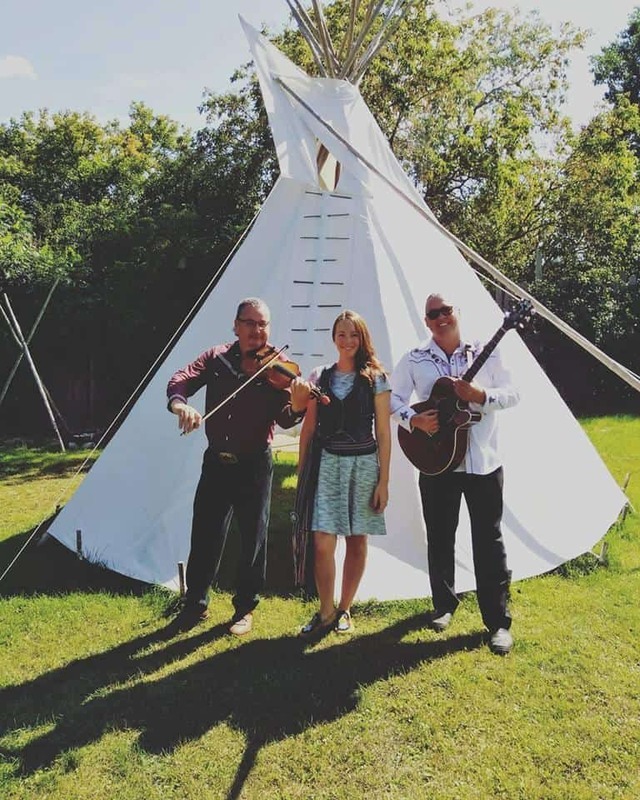 She works as an Indigenous Community Development Worker with the Napanee Area Community Health Centre where she is a passionate advocate for the braiding together of Indigenous Culture with mainstream healthcare for urban Indigenous People. 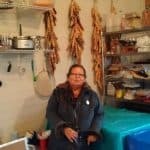 Kathy also is a member of the Ontario Thunder Women chapter of the Native Women’s Association, and the Katarokwi Grandmothers Council who, among other things, ensure that sacred ceremonies still happen seasonally, in the Kingston area. Corn Husk Dolls were always made for children and have been made since time immemorial. Shaped only from the materials that were available in the environment around them, these dolls would entertain your children for hours. In our teachings, all things made with the hands, whether it is food, regalia or the humble corn husk doll, comes with a mindful teaching on ensuring we have a loving heart, good mind and gentle hands before touching the items to be made. As well, the making of this unique doll, comes with the special story called “The No Face Doll Teaching”. Henry Angootimagik Kudluk was born in Churchill, Manitoba and raised in Coral Harbour, Nunavut (then Northwest Territories) with his nine siblings. As a young boy, he watched his grandfather make miniature harpoons as souvenirs for the community’s RCMP officers. Kudluk made his first attempt at carving in grade school, and though he did not enjoy the experience, in part because the available tools and materials were substandard, he did manage to complete a small sculpture of a seal. Kudluk took up carving seriously in 1998, regaining enthusiasm for art while watching the directors of the Inuit Art Foundation, where he was then employed; give carving demonstrations at the foundation’s yearly arts festival. He learned technique by observing visiting carvers and was given pointers by many well-known Inuit artists. He credits carver Mattiusi Iyaituk of Ivujivik for his inlaying techniques. Kudluk’s favourite subjects are polar bears and human figures. He recently completed a commission for the Museum of Civilization to produce five carvings at different stages of completion as part of the public programming for the exhibition Iqqaippa: Celebrating Inuit Art 1948-70. He has also taught stone carving to adult students at the National Gallery of Canada. In the summer of 2000, Kudluk was commissioned to build a life-sized inuksuk at Appleby College in Oakville, Ontario. The inuksuk, a rock cairn in the shape of a human often used as a navigational aide by the Inuit, was chosen as the symbol of the Round Square world conference Power of One, held at the college and attended by over 400 international delegates. At the opening ceremonies, Kudluk presented His Royal Highness the Duke of York Prince Andrew with a stone carving he had created for the occasion. Kudluk also showcased three works in the Department of Indian and Northern Affair’s Inuit Art Gallery (Hull, Quebec) exhibition Urban Inuit, which displayed work by southern-based Inuit artists, and his work is well known by collectors in the Ottawa region. In the spring of 2002, Kudluk demonstrated his artistic abilities while travelling with Natural Resources Canada in Santiago, Chile. He also was part of the Canadian delegation, which travelled throughout Siberia, sharing knowledge with the aboriginal people of Russia, about the marketing of Inuit art. Kudluk resides in the Ottawa region with his wife and three children. Kudluk currently carves part-time.